Everyone loves honey, but only the interior designers from Estudio Tanguma have had the brilliant idea to let the amber liquid inspire their design. 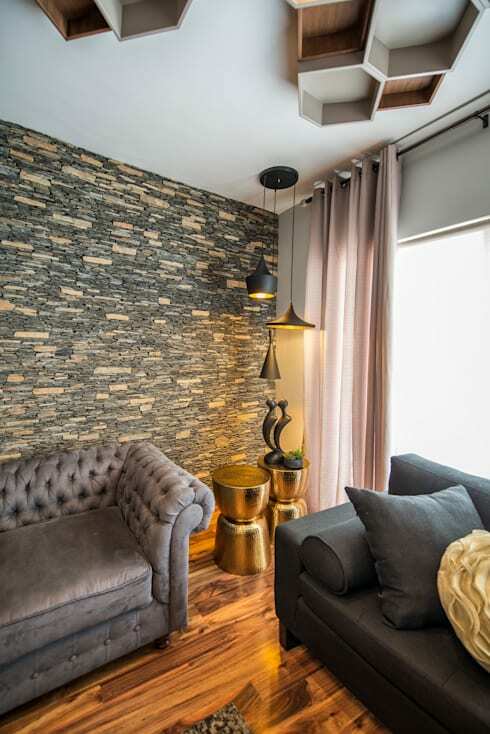 This home uses the honey comb shape and rich golden colour to make a smooth, luxurious look in every room. 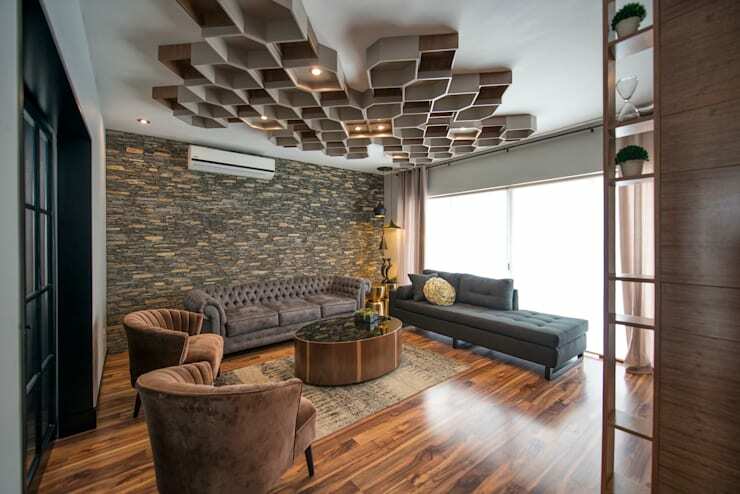 The focal point is a unique geometrical ceiling that will inspire you to raise the roof on your own decor. Let's start with the main attraction: the living room. There's the honeycomb ceiling, of course. Note also the rich amber tones in the floor, seating, and metallic coffee table. The side tables are even more golden, pulling out the warm tones in the wall, pillow, and flooring. This dramatic and modern pair brings out the best in every other element of the room. 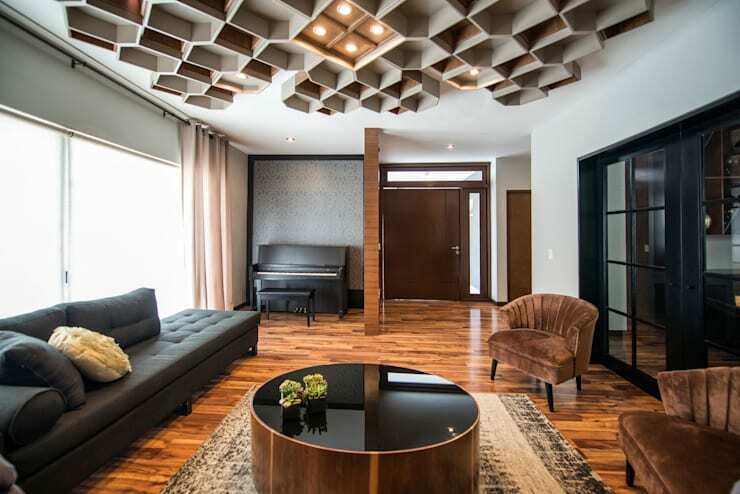 Across the living room is a spot to tuck away the piano, separated by a small wooden wall. 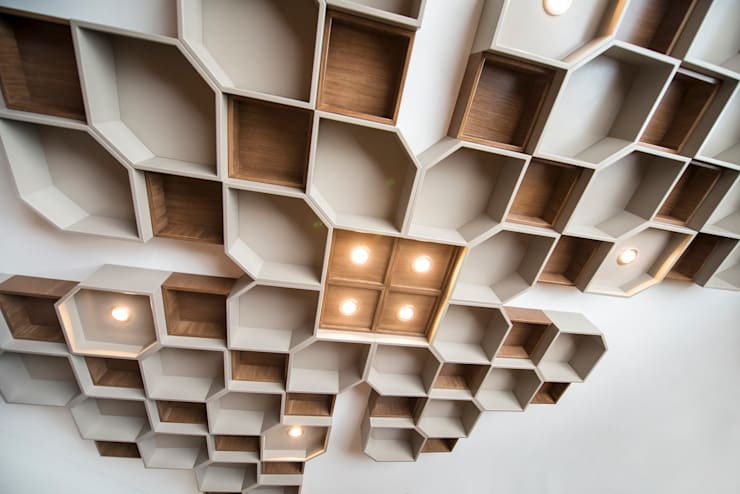 The honeycomb shape of this ceiling ornament is brought to life with darker cells that look like a bee has come along to fill them. 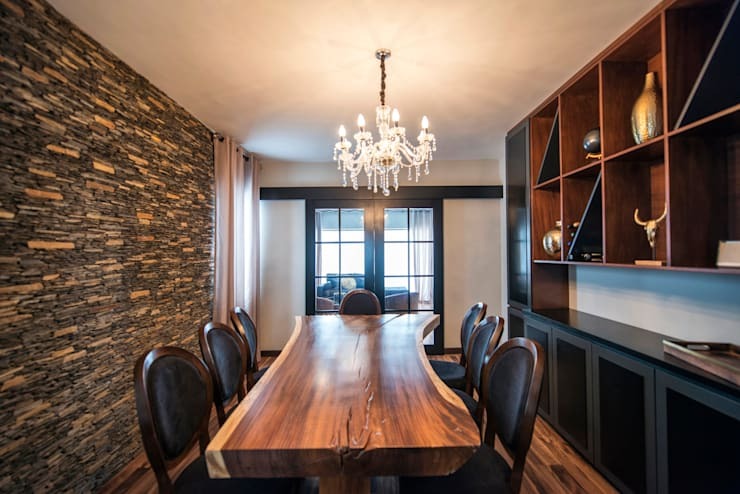 Moving to the dining room, we can see that the designers kept their focus on rich, natural materials with a gorgeous table. The stone wall has also continued into this room. 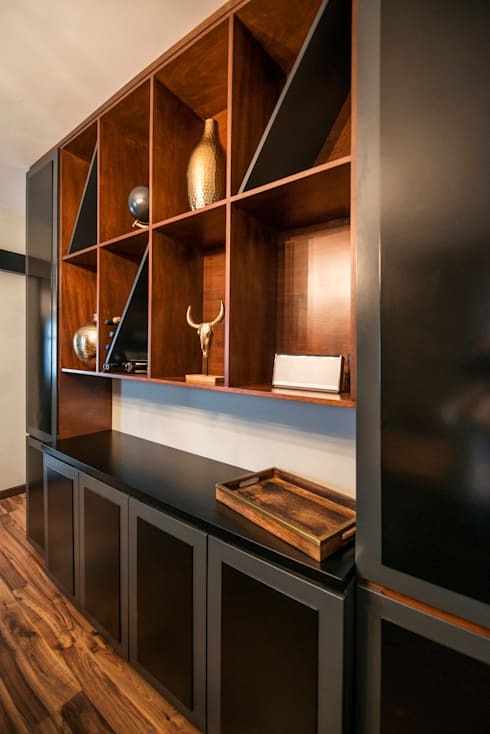 You can find more golden decor elements in this shelving. They bring out the warmth in the red wood, and provide perfect contrast for the black. It's very sophisticated. 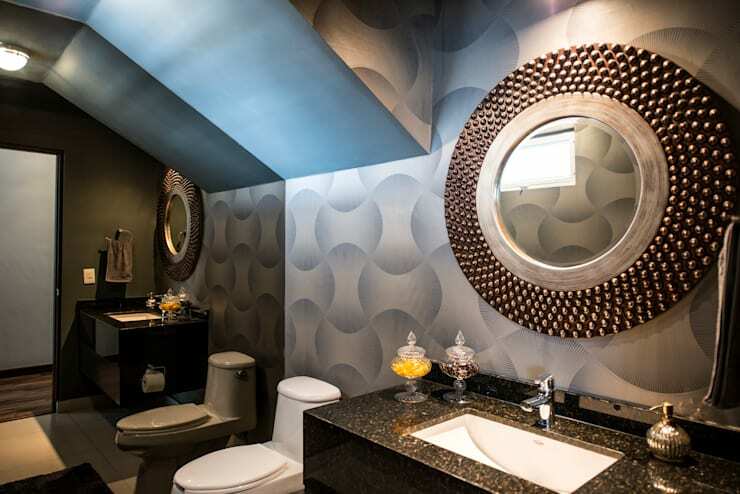 The bathroom uses a lighter silver tone that is no less luxurious. There's another unique geometrical pattern on these walls. In particular, we love the small glass containers on the counter, they look so precious. Not sure that the amber tones of this home are right for you? Then try out one of the nine trend colours for 2017 instead.